I first heard this quote on Disney’s classic, Pollyanna. Pollyanna, a missionary child, is sent to live with her rich aunt after the death of her parents. Encountering a whole different world–now being rich–Pollyanna never seems to lose her spirit of spreading joy, simplicity and gladness with others. She even teaches everyone her “Glad game.” It starts to spread around town, changing people as they start to see life with a different attitude. Because her aunt is rich and powerful, much of the town is run by her decision, even the sermons at church. During an afternoon talk with the preacher, Pollyanna asked if the minister liked being the preacher of the town. She follows by sharing stories of her father (who had also been a minister) and said that he found a quote that helped him when he got discouraged. It was engraved in her necklace. 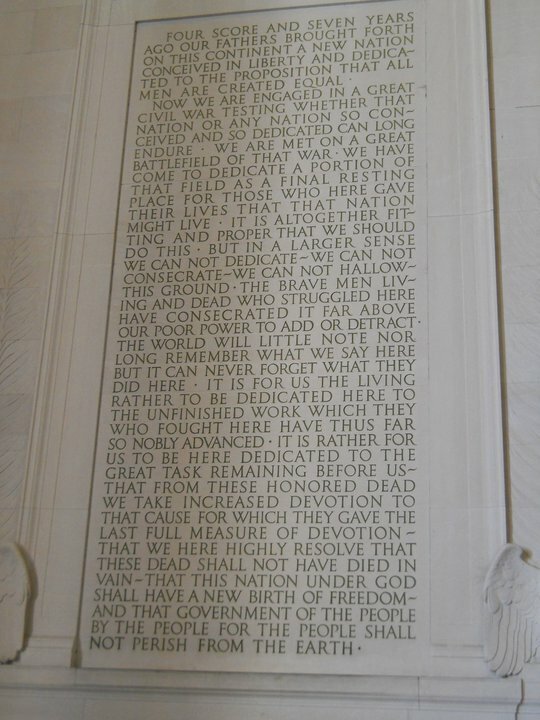 It was this Abraham Lincoln quote. In reading the quote, the minister realizes that he has been using his pulpit as a way of condemnation. He learns to love his congregation, and in return…more joy and gladness spreads around the town. ‘Vengeance is mine, I will repay’, says the Lord. To the contrary, ‘if your enemy is hungry, feed him; if he is thirsty, give him something to drink; for by so doing you will heap burning coals on his head.’ Do not be overcome by evil, but overcome evil with good. Valentine’s Day is only but a few short days away. What greater lesson to remember than to seek the good in others, even loving our enemies. 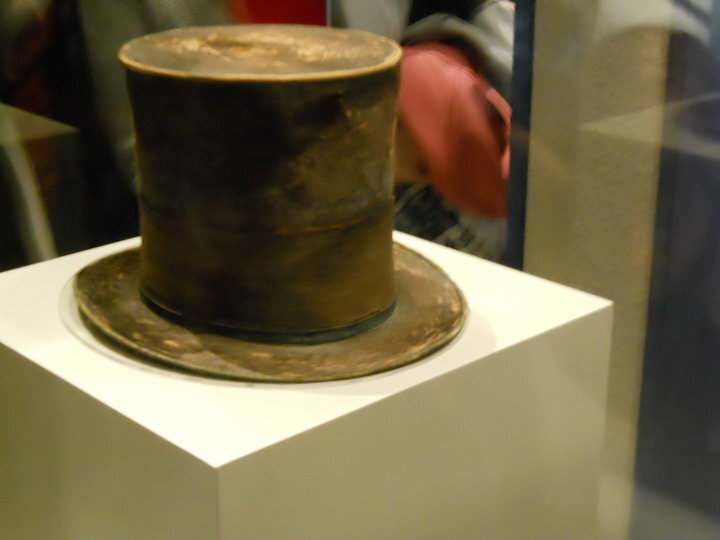 Lincoln’s hat. Smithsonian Museum, Washington, D.C. 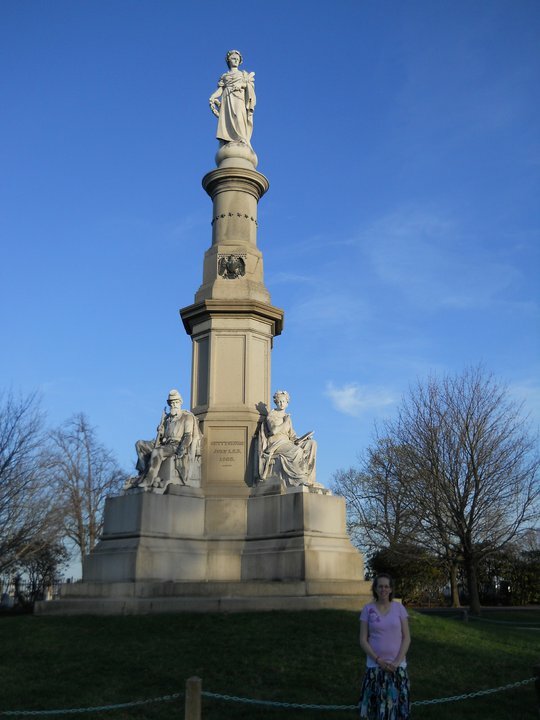 Standing close to where the Gettysburg Address was said. Gettysburg Cemetary, PA.
Boritt, Gabor. 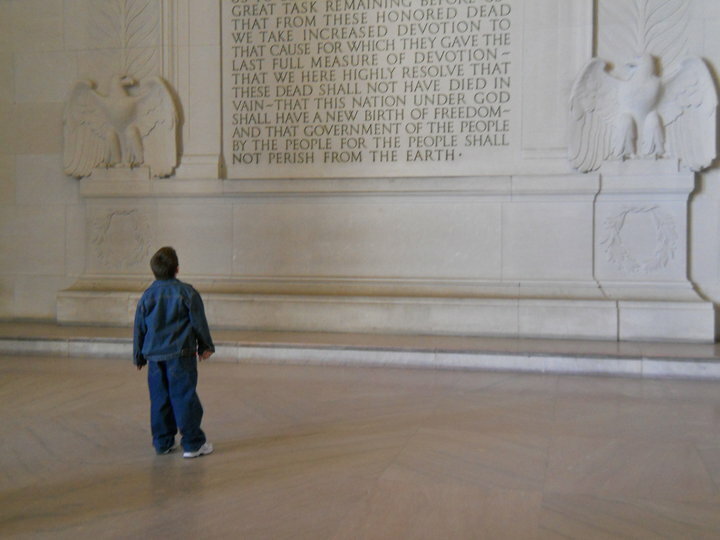 The Gettysburg Gospel: The Lincoln Speech that Nobody Knows. New York: Simon & Shuster Paperbacks, 2006. Gross, Anthony (ed). The Wit and Wisdom of Abraham Lincoln. New York: Fall River Press, 1994. 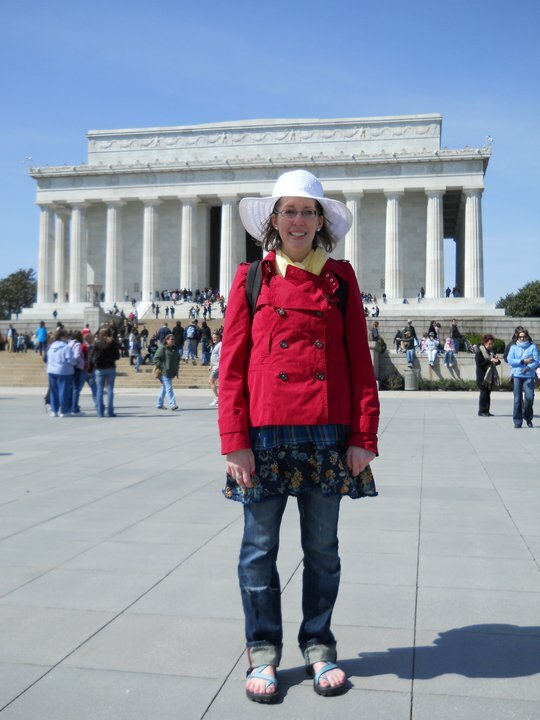 Tagged as Abraham Lincoln, Civil War, former Presidents, Gettysburg Address, loving others, Pollyanna, Presidents of the United States of America, respect, sharing gladness, Washington D.C.
Glen and I recently saw the movie “Lincoln”. We enjoyed it very much! Have you seen it? I really don’t go to theaters, plus I was sick…so I never saw it when it was there. BUT, as soon as it comes to dvd. Then, yes! I will see it! I just have to wait to the end of March 😦 I heard many good things about it! I recently read “Killing Lincoln” by Bill O’Riley. Very interesting. I loved this blog, especially your pictures. Hope you’re having a good day. Love ya’. I bet the book is interesting! 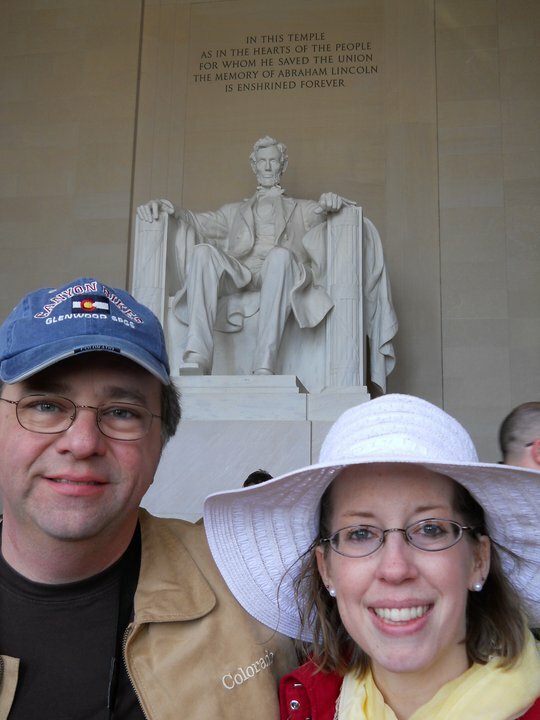 These pictures were from 2010 when we took a family trip to DC. We pretty much packed everything in…really amazing!